Street fights. Guns. Drugs. Push fought his way through the back alleys to become one of Harlem’s most powerful players. He made a name for himself for being tough. But he was loyal, too. 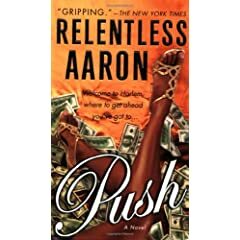 Push would do anything to keep his loving sister, and his baby nephew, out of harm’s way—until the law caught up with him, and he landed himself in a federal penitentiary.